It is no secret that Americans are having a love affair with added sugars. They pop up everywhere – bread, cereal, pasta sauces, protein bars, frozen pizza, salad dressings, crackers, and even processed meats. The single greatest source of added sugars in the American diet is sugar-sweetened beverages. In 2011, beverage companies produced enough sugar-sweetened drinks to provide every person in the United States with 45 gallons. That is equivalent to more than nine 12-ounce cans per person every week. Regular consumption of sugar-sweetened drinks has been linked to many detrimental health effects including, most significantly, obesity and type 2 diabetes. Now, there is another hidden danger of sugar-sweetened drinks. Researchers have found a link between consumption of these sugary beverages and non-alcoholic fatty liver disease. Around 30% of adults in the United States suffer from non-alcoholic fatty liver disease. Non-alcoholic fatty liver disease is when additional fat builds up in the liver cells of people who drink little to no alcohol. While it is often asymptomatic and causes no problems, in some people it can cause inflammation and scarring of the liver. In the most severe cases, it can even result in liver failure. People who have non-alcoholic fatty liver disease are also at an increased risk of developing type 2 diabetes and cardiovascular disease. A recent study found that people who consume sugar-sweetened beverages on a daily basis have a 55% increased risk of fatty liver disease compared with people who do not drink sugar-sweetened beverages. The researchers concluded that regular consumption of sugar-sweetened drinks is associated with greater prevalence of non-alcoholic fatty liver disease, particularly in people who are overweight and obese. So what should we take away from this study? 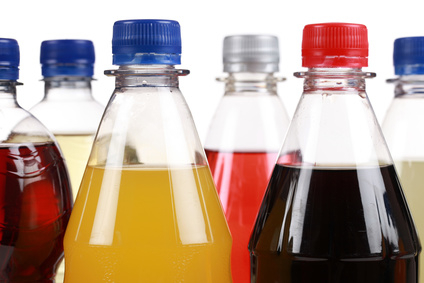 The bottom line is that we should seriously limit our intake of sugar-sweetened drinks. While enjoying an occasional soda is unlikely to do much harm, it would be better to replace regular consumption of sugar-sweetened drinks with water, milk, or a small amount of 100% fruit juice. Jiantao, M., Fox, C. S., Jacques, P. F., Speliotes, E. K., Hoffmann, U., Smith, C. E., … & Mckeown, N. M. (2015). Sugar-sweetened Beverage, Diet Soda, and Fatty Liver Disease in the Framingham Heart Study Cohorts. Journal of Hepatology corrected proof in press, available online June 5, 2015. doi:10.1016/j.jhep.2015.03.032.